What’s wrong with our industry that we are so quick to belittle formal education? Whenever the topic of an art degree arises, there’s an angry mob that amasses, collectively chanting how “useless” a degree is in photography and that the best school to learn from is the University of Hard Knocks. To really understand this issue, we have to first step back and look at the value of art and why photographers are so polarized on the term. Then, we have to recognize that “art school graduates” are not the real problem; it’s the dismissive attitudes toward them that are. Without getting too heavy into the discussion of what makes art, art (that will be a future article), let’s quickly address the value of art. Art is the way in which we describe, translate or ask questions about the human experience. It is found in every culture around the world, and it has been taking place for tens of thousands of years. Not every photographer is an artist, and not every photographer wants to be. There is absolutely nothing wrong with that. This is, however, an important distinction to make, because, while photography can be considered a skill or a trade by many, it can also be considered a medium for artists. With that distinction established, it’s important to remember that while a photography degree does teach the skills the be a photographer, it also teaches the ways in which photography can be used as a artistic instrument. 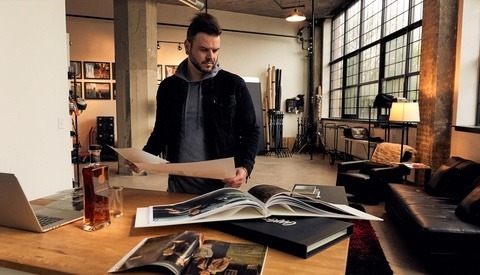 This is where I believe the genesis of the disconnect occurs – some photographers choose to pursue work and be small business owners (and facilitate other people’s vision), while others choose to peruse art (and facilitate their own). Neither is wrong, but they are very different. What’s So Valuable About an Art Degree, Anyway? The value of an art degree teaches the conversation of art and why a meaningful opinion begins after “I like it” or “I don’t.” The true value is one's ability to articulate the “because.” Can this be learned outside of a school setting? Absolutely. Is it easier? Absolutely not. While a photography degree does include classes that teach the mechanics of using a camera and lighting, it also teaches a lot more. In truth, it’s not that hard to learn to take a competent picture. What is hard is learning the historical context of your subject matter, how others have done it before you (both in photography and other visual mediums) and what conscious decisions you’re making to be different. Can this is still be learned outside of a school setting? Absolutely. Do most people even think about incorporating these things into their work on their own? I’m not so sure. Some people learn differently. While certain individuals thrive in a scenario where they are their own guide to learning, that’s not the best use of everyone’s energy. Some people need structure. Some people want the opportunity to learn in a place far from home. Some people want to learn with a support group of like-minded people. Another key benefit is having the chance to learn from multiple instructors at once, taking bits from each to incorporate into how you’d like to do things, because no one has all the answers to everything. If your approach to photography is to learn a trade or a craft, then school is probably not the best course for you. Teaching yourself (if you’re very self-motivated), assisting or taking workshops will be just fine for the vast majority of people who want to be photographers and small business owners. For others, it’s just not. In school, there are classes dedicated to art history. 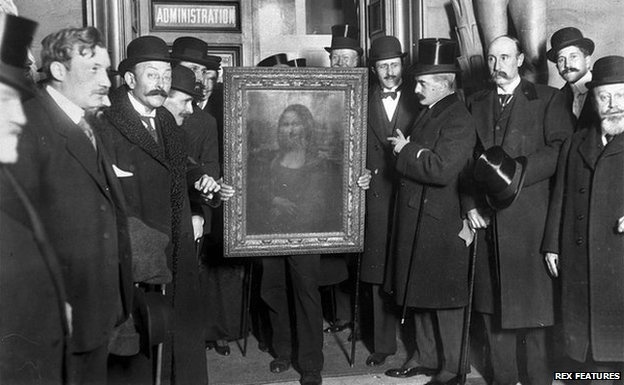 Art history is one of the single most valuable things to study for anyone working in a creative field. As the old cliché goes, you can’t know where you’re going until you know where you’ve been. If you’re existing in a vacuum and thinking that the work you’re doing is completely original, chances are it’s probably not. This is part of what makes good art incredibly difficult. There is a word called “vemödalen” which describes the frustration of photographing something that we think is amazing and unique even though thousands of near-identical photos exist of essentially the same thing. How hard does it now become to be unique (or even extraordinary) in a world that is saturated with decent imagery? Of course, copying or imitating others is still part of the learning process. It’s helps us bridge the mental gap between the idea and the execution – to see where someone else began, where they ended and to articulate what the process may have been like for them. When Francis Bacon began, his work was derivative of Picasso. Now his work is some of the most sought after in the world. If our own work is not as sought after as we’d like, we must reflect on if we’re actually doing anything different than what’s been done before. Success rewards originality. In addition to studying history, art school forces the student to work and create outside of his or her comfort zone. There's a good chance that if someone is self-taught, they may not have the desire to work in an area they aren’t interested in or challenge themselves in that capacity. Working in those areas may open that person up to something they never thought they might enjoy or even a new way to approach a current way of thinking. To make it even less daunting, someone is there to act as a guide through the entire experience. Even though there are benefits, art school also has its drawbacks. First and foremost, it’s expensive. Not everyone can afford to go. In truth, college is expensive. If one is looking to start a photography business, an art degree is not necessarily the best idea. However, if one has the desire and the opportunity to attend, then by all means do so. I do not want to downplay how important both of those things are, and success after school depends heavily on both. Don’t attend art school with the plans to run a business. Get a business degree for that. Attend art school to become an artist, and be strong in your desire to do so. Art school is not easy. No one shows up to camera class, takes a few pictures and gets an A. Students must work. Hard. Most likely, the majority of your career will be a struggle. School should prepare you for that. Attending class and doing the assignments isn’t the only requirement. Sure, a degree can by had with good grades but the grading structure is in place because the education system requires it. Grades mean nothing in the real world. Hard work, dependability, meeting deadlines and creativity are what matter (not surprisingly, those things will also land you good grades while in school). Upon graduation, the student receives either a certificate or a degree. A photography (or art) degree does not mean that you’re a good photographer (or artist). It means you’ve learned enough to pass the program, and with any learning experience, the effort put in always reflects the value of the outcome. Graduation is not the end; it is the beginning. Therefore, the next logical step for many is to assist. Assisting is an incredibly useful part of the learning experience. It’s commonplace for companies to take on unpaid or practically unpaid interns. Assisting is no different. Don’t expect a livable wage as an assistant, but consider it a continuation of your education – a transitional limbo between college and being self-supported. The value of a degree when approaching a photographer is that they will have a certain expectation of what you are already able to do. Some photographers may not wish to teach an assistant most things from scratch. Then again, there are others that prefer someone to know very little going in so that they only know that photographer's process. This may be better for that photographer, but it may not necessarily be better for the assistant. If you choose not to assist, remember that the artist’s path is not easy, and hopefully you have something that contributes to financial stability. Ramen gets tired quickly. Of course, some do get to the end of the program and decide that photography is not the right path for them. Outside pressures (oftentimes the parents that paid for the education) will push for the graduate to find work in the field. This is not a path that someone can haphazardly and halfheartedly wander. It takes complete dedication and passion. It takes more sleepless nights than is worth counting. It takes “starting in the mailroom” and a willingness to tirelessly work to get to to the top. Be honest with yourself before wasting time and energy down a path you don’t want to take. There have also been some recent complaints about heightened egos from recent grads. I would presume to guess that this is a direct result of someone being in their early 20’s more than the fact that they have a degree, but that’s just a personal opinion. That said, ego works both ways, and making a sweeping generalization about how all art school grads are egomaniacs isn’t going to encourage a helpful conversation on the topic. I find it so confusing that there is such a rift over the decision to go to school for something you love. There aren’t many fields where people are so proud to turn their nose up at education, as if not going to school makes someone better or more driven. It is possible to be so unpretentious that one becomes pretentious. We all share a passion for photography. That should bond us. Can’t we all just get along? If you’re against formal education, this article isn’t going to sway you. It’s not meant to. If you’re for it, all it probably did was reinforce your opinion. The point is not to change anyone’s mind – the point is for people to gain a little understanding. 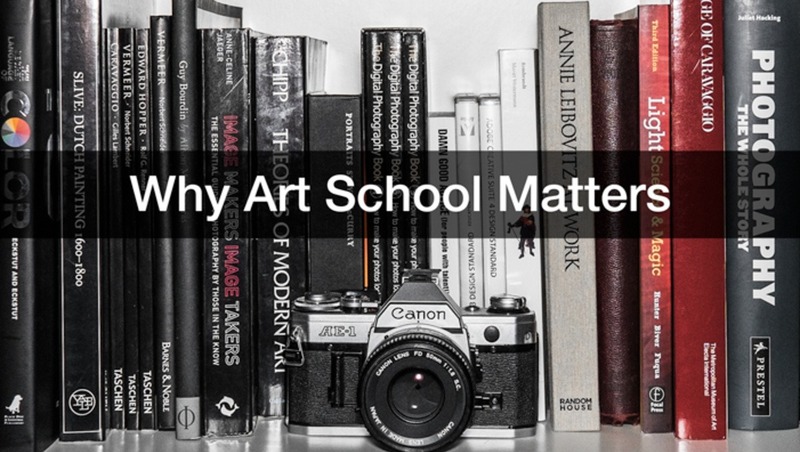 There is a tremendous value in an art school education, but it’s not for everyone. At the end of the day we’re all students, in one way of the other. Whether you have an art degree or you’re completely self-taught, what matters most is the effort you put into your life’s experiences and the value you get from them. Useless? I know how to fix my car, i can do calculus and still i don't think that a degree in engineering is useless!! People think that a degree in photography is something like learning to use manual mode, so you can go out to shoot and behave pro. NO! People learn the concepts of art, how to perform when beeing artistic. I know some folks do some weird stuff and claim it's art, some engineers make bridges that fall and others don't know how to do their math! Yes, there is an enormous importance on an art degree. Just like in everything else! EDIT: Here where i live, an art degree can cost you like 3000€ for 3 years. Somewhat near 1000€ year. To be honest, you can make it without it, but it's not useless because it's not mandatory. Like i said on that bridge building analogy. It won't make of you a good artist. I know a few folks, who went to photography school and their results are tasteless. Thanks for writing this article, it's spot on. Its an interesting subject to be sure. I think the problem I have with art schools is not whether you should go but with the programs themselves. It seems like some places, like the art institutes, are kind of a cash grab. They take anyone, puff up egos, teach a broad range of subject matter, then say Ok you're ready to go out and assist! I've seen senior portfolio shows and wondered what on earth they were spending their money on. Granted there are schools that are much better in curriculum and won't blow smoke to get your money, but those seem to be in the minority. To me, unless the name of the school itself is going to get you work or you want to teach, there's a compelling argument for saving money by taking informal classes and having money to buy equipment, marketing, etc rather than being buried in student loans from the starting blocks. Thanks for this! At times I get really disheartened on this site as a current Art School Student. Currently I am attending my first semester at the College of Creative Studies here in Detroit and honestly the benefits are astounding. Being surrounded by peers who are just as passionate about making awesome work as I am and being surrounded by tons of artist in different mediums is an endless source of inspiration. But I have to agree with the ego thing, there are a lot of students who graduate and think because of their degree and what they've done that they deserve a job and or are better than someone else. But half of these kids are in their early twenty and have barely even had jobs and have lived in their dorms for the past 4 years. But like you said art school is not for everyone. Thanks for the reply! Don't be disheartened...we all take our own path, and even though some ways work for some, it may not work best for you. If you feel good about your decision, don't let anyone talk you out of it. if you can afford to go and you're learning and being challenged to be a better artist and to grow from the life experiences you're having, then do it. Learning is not exclusive to academia. The learning never stops. Small quibble, Aaron. "Mediums" are those folks who hold seances and talk to the dead. I would encourage you to stay in school, particularly if you feel you are reaping real benefits from it. If not, there is also something to be said for starting out without a ton of student debt, too! Best of luck. I stand corrected. Mediums is acceptable nowadays in the way you used it, too. In the stone ages when I went to school, "media" and "mediums" were clearly plurals of different concepts. The distinction is blurred today. Personally, I'll still prefer "media" and reserve "mediums" for the folks in dark rooms with crystal balls! It would take years of assisting to equal the opportunities the photography student faces in college or "art school." The access to equipment, studios, the darkroom, etc. goes far beyond what would be realistic for the young aspiring photographer. Balancing and metering light in the studio, for instance, might be learned on youtube, but the student has many assignments and other challenges that can only be learned by trial and error, often using thousands of dollars worth of gear to which they would not otherwise have access. Color theory (and correction), design elements, composition: all of these subjects are valuable to a young person, especially when taught by a master, or at least a practicing pro photographer. I think these days because education is so expensive people have forgotten that there is a difference between training and educating. Education doesn't need to have a job at the end of the road. It's about improving yourself and learning about the world. Training is about learning something specifically to get a job. This used to be the difference between tech school and university's, but that line is getting blurred. The beauty of the liberal arts model of education is the development of a curious mind. The point of this was not to trash anyone, and calling someone a prick isn't going to make the situation any better. The point of this article was to just speak for formal education in a way that would allow for reasoned dialog and possibly some acceptance form both sides. The two worlds of those photographers who create "art" (and by virtue do very well commercially, like Meisel who shoots nothing buy high end campaigns for income), and those who wish to learn technique to shoot on the weekend, rarely intersect. This is probably why for the most part "art degrees" are snubbed, because most feel they can learn technique easily enough. If democratization of photo and video has led to anything though, it's certainly not a proliferation of great swathes of artistically stimulating new work. Thanks Dave! Very wise words! There is definitely more at play in art as opposed to learning a technique. It's best to remember that we should focus more on the concept instead of the execution. Technique should always facilitate the idea, not the other way around. I really like your points here. To be blunt up until 10-15 years ago a degree was more common especially in publications and commercial art. Part of what happened was the death of the Alchemy of the Darkroom. The Alchemy (The Magic) of the darkroom was intimidating and was more complex especially when you add in the "Zone System". Also it did take educational institutions 5 years to adjust from a film environment to a digital environment. Most cameras until the mid 90's had just basic auto features and no AF. Today we live in world in which you have fully automatic cameras and photoshop is the darkroom. So is education needed in this modern environment? After all a school can't teach talent. Yes it is still needed, To be blunt I am biased I am a product of formal education. What most people miss is that education is not teach talent but the basics that build the basic foundation to start from. My basic background is photojournalism. In my field a daily paper would not even talk to you without a college education. It made sense because you needed a basic understanding of the workings of journalism, basic photography, portrait and studio skills. So what is the basic foundation of knowledge that a good education will build? Such things as basic things as being able to shoot manually, understanding exposure (the relationship of f/stops, shutter speeds and ISO) basic composition, portraits, lighting and studio. Most good programs give students hands on with many different pieces of equipment. (1) They tend to be a little behind current trends. This can be true because a typical instructor can be 5 or more years out of their profession they are teaching but most good photographers are paying attention to the world around them. (2) Schools force a students to have certain style. This is a somewhat a fantasy that most self taught shooters have. (3) Students are taught are an idealistic (Academic) way of doing things verses a real world way of doing things. This very true, I was working photojournalist while in college more than once I had bite my tongue in class. Also at one of the papers I worked at we had a joke about untraining interns. But that is true of life learning real world process. These days the company that I work with does commercial and editorial, looks for photographers with accredited education and experience over self taught unless there is large work history. We had a lot of issues with self-taught not being able to shoot manually or basic lighting techniques with flash which most basic education cover in the first semester. I am not saying that self taught is bad but I am also saying education is also a positive. I went to a Cal State for my Art Degree and I'm thankful that I did. I believe the main difference between going to Art school or not is not what you learn while in classes. It's the community you build with your peers while your there. If you can build a solid peer group that can encourage and push each other creatively that will make all the difference. All I can say is don't go to Brooks, and if you are please don't adopt the attitude of a lot of people that went to Brooks. It's all about ROI, man. You want to be financially successful, you have to make sound financial decisions. When not pursuing an art related field, the art degree carries very little weight in the professional world. For every photographer that has 'made it' there are 10 that did not. And, now they are crippled with crushing student loan debt. I attended a lecture given by Erik Almas and he mentioned that right before he made his break, he was on the verge of moving back to Norway to start working and paying off his student loan debt. Why should an Art Degree cost the same as a Computer Science Degree? Answer: It shouldn't. Science degrees have to keep reinvesting in themselves to stay current. How does the Art curriculum change? Why does it cost as much, if not more, than a science degree? Where does that money go? These are the questions that burden the concept of the Art Degree. A student would be much better off studying an applied art program, like Graphic Design. Here you will still learn the principles of Art but receive a applicable degree to fall back on. Many would say, 'GD, there are no jobs there.' Yes, the jobs may be fewer but go to glass door at any given moment and look up GD jobs and compare it to open photography jobs. The answer is clear. Thanks for the reply Scott! I mentioned this above... but if someone wants to be a small business owner, they should study business. People don't become artists to make a lot of money, they do it to create art. For that reason, many are either financially supported or are "starving." Those who are fortunate enough to be financially supported often times have no trouble paying for art school. Additionally, photo degrees have a similar overhead to other programs. They need cameras and lights and all kinds of other equipment, plus they have to maintain buildings and teachers, etc. In the end though, you're right. It's all about how hard you want to work! There are programs similar to what you are talking about brooks for example you learn photography while using the local community college to earn college credits. Also Brooks is accredited. A degree is not a pedigree through and should not be confused as such. You have to earn and hustle to get a degree . A pedigree is paperwork (distinguished, excellent, or pure ancestry) your born with. a well balanced look at the issue of arts education and its value in basically any creative field, not just photography. I'm halfway through a photography degree in the UK and from my experience it's not solely about being taught photography anymore. It's about understanding how it fits into the modern business world through enterprise and collaboration. From day 1 you're taught that you are a brand and the marking criteria is structured in such a way that it forces you to think like a successful business. It offers easy access to equipment and studio spaces not to mention the ability to work with other departments (engineering, fashion, graphics, film etc) and networking opportunities too. It's not a requirement to become a pro nowadays but it can allow you to try everything before you settle down into whatever aspect of photography takes your fancy as well as learning some business acumen. Who exists in greater numbers? Art school graduates or non-graduates? It's important to understand that the internet is democratic and the majority always rules. Therefore, online discussions trashing art school will always be more popular than those defending art school. So, if a blogger or poster wants to gain online popularity then it would probably make good practical sense for him to bash formal education. My personal experience is that the main differences between formal education and self-teaching only really manifests over time. Self-taught people generally make fast progress in a short period of time and then "hit a wall." In order to stop repeating themselves, they tend to focus a lot of energy on up-to-the-minute gear and new technical trends as a way of trying to get out of their creative "funks." This makes them a perfect audience for the fast pace of the internet. Meanwhile, formally educated people generally make slower progress and might not even have any real success until several decades after their education is completed. Generally, they have more ideas than are possible to shoot and are therefore less prone to hitting the proverbial wall. Since they're less likely to go into a funk, then they are usually less interested (or less reliant) upon keeping up with all of the new gear trends and processing gimmicks. These people are not especially suited for the immediate gratification culture of the internet. What group of photographers constitutes a more profitable economic market? Photographers that follow trends or those that don't? Obviously, trend followers will be the most lucrative market because they are the most likely to constantly want to upgrade to new gear and try new products So, that means self-taught shooters will generally be the largest target audience for gear companies, how-to-blogs, magazines, workshop instructors etc. A huge industry is built around the self-taught which begs the question. Are the self-taught really self-taught? The answer is that nobody is self-taught. Everybody learns from somebody else. So the difference between formal and informal education is really just the difference between taking a short-cut or taking the long road. One has the benefit of quicker immediate returns with the greater risk of "hitting a wall." The other has painstakingly slow returns that may only manifest themselves over many decades, but with less risk of creative burn-out. That's just one man's opinion and obviously it's just a generalization. There are always exceptions to every rule. Very well put, as usual. That's a very interesting observation and something I've noticed personally as well. Staying trendy seems to amount to more lucrative results in the short term, but the long road definitely does seem to yield its own benefits. Thank you for your reply! It's great to have your thoughts a part of this. Interesting but I'm not following... calling being self taught the short road doesn't seen very intuitive to me. What is faster: learning a technique by youtubing videos, trial and error, and blind luck? Or getting a formal education where you have an instructor looking over your shoulder, showing you specifically what you're doing right and wrong, and using the correct equipment to do it with? That seems like the quicker way by far to me. Also I guess I don't see a correlation between longevity and education besides a random observation. Ive seen art school grads make it and I've seen some graduate and then never touch their discipline again after getting their piece of paper. I agree with earlier points about ROI. What's worth more? The connections and technique learned formally? Or is it more valuable to take what I would call the hard road, take your licks, and have a lot more money in your pocket for equipment and business expenses? Only the individual can answer that. Education is a life long pursuit. We're all students. I think this opens up a larger question on education. I think the current American education system fails at both creating curious citizens that understand the world they live in. It also fails at creating individuals who are really ready to hit the job market. On top of that, most people end up with crushing student debt because most decent jobs currently require a university degree. IMHO. If you want to be a photographer that creates meaningful art, go to art school. If you want to run a successful photography business, take business classes, attend seminars or heck even go to marketing school and specialize in publicity. Sadly, most jobs in the photo industry are more about execution than concept.